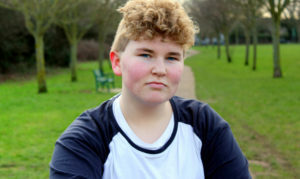 The challenges of becoming a trans man are discussed in a BBC3 documentary. Leo was born a girl biologically but he always knew he was a boy. 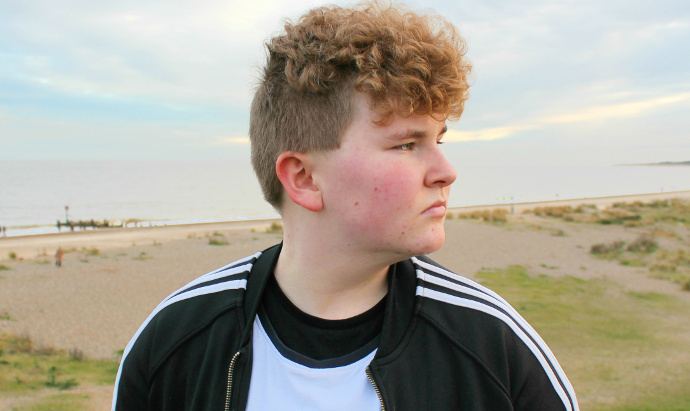 In 2013 Leo became one of the first young people in the UK to be given hormone blockers to stop him developing into a woman. Leo is only 16, but there are many issues he must face. One of these is will he want children in the future? And is it important that they are genetically related to him? If the answer is yes then he will need fertility preservation: freezing his eggs before his gender reassignment begins. Leo and his mother visited Bourn Hall Clinic in Colchester to discuss his options and he talked to us about his feelings. Q. Why was preserving your fertility so important to you? Most young people find coping with GCSE’s stressful enough! I didn’t want to regret not doing it later in life. I want to have my own biological children and this is the only chance I’ll get. Q. When the fertility consultant Dr Arpita Ray discussed the procedure with you there must have been a lot of questions going around in your head; are you able to explain what they were? I have never had my body examined by anyone, in particular, my genital area so the thought of the scanning probe having to go inside me was very frightening. Although I was reassured by Dr Ray that I would be able to have sedation or general anaesthetic for the egg collection procedure. Q. Is there anything that could have made that session easier; is there any advice you could give Bourn Hall or other health professionals about improving the journey for transgender people? I think the session was as good as it could have been. Dr Ray was very sensitive and respectful which is all I could ask. Q. I understand that in preparation for gender reassignment you had testosterone, which affects your physical characteristics, but did it feel different emotionally? For example did it stop mood swings associated with monthly cycles? I hadn’t had a monthly cycle for several years as I had been taking hormone blockers. I didn’t notice that testosterone had any affect on me emotionally although other people said that if anything I was calmer once I started taking it. Q. Freezing eggs before medical treatment is stressful for anyone, but for you it would involve having female hormones. Can you explain how you felt about this, especially after having a time without them? I just accept that this is what has to happen for me to get my eggs frozen, it’s a means to an end. Q. If you could see into the future what would life for a happy 35 year old Leo look like? I hope to be married with two or three children. In a good job, with a nice house and car. We wish Leo all the very best and hope his dreams are realised. You can watch the BBC Three documentary on BBC iPlayer here. Improving care for transgender patients – Bourn Hall has seen an increase in requests for fertility preservation ahead of gender reassignment and has adapted its protocols to improve the patient experience and is sharing its advice with other health professionals. You can read more about this here. Fertility preservation – freezing of eggs, sperm or embryos ahead of a medical procedure is well proven and Bourn Hall works closely with the patient’s consultant to ensure the fertility preservation takes place with minimal disruption to the medical treatment. Click here for more information. Counselling – Leo had counselling advice from the Tavistock and Portman, NHS Foundation Trust. Bourn Hall also offers fertility counselling that is independent of treatment and you can choose what works best for you. Find out more here. If you would like to speak to someone at Bourn Hall about fertility preservation you can call Patient Services on 01954 717210 or use our online contact form.